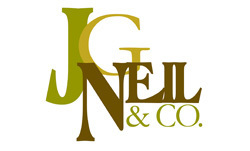 Our Brokerage firm was originally founded in 1973 in Seattle Washington as Food Service Sales by James G. Neil. In December of 1998, the company was purchased by his sons Jim and Chad Neil in a 50/50 partnership. 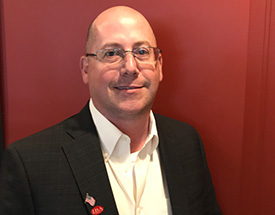 In 2017 Chad Neil assumed full control of the company with Jim Howard joining the company as a partner in 2018. Our area of coverage has expanded with offices in Spokane Washington and Portland Oregon to greater serve the Pacific Northwest, including Montana and Northern Idaho. Our Corporate office is conveniently located just south of Seattle near SeaTac International airport and handles all customer service inquiries, sales order entry, and marketing efforts as well as serving as a regional sales office. Our facilities host full service test kitchens, conference rooms, frozen, refrigerated, and dry storage to handle product tastings, demonstrations, sales meetings, and volume food preparations. Having been in business for over 30 years, we have acquired the expertise to make us a premier foodservice brokerage in the Pacific Northwest. A reputation for quality products, exemplary service and unquestionable integrity has enabled us to develop long term partnerships with our Principals, Distributors, and Customers. We are dedicated to building profitable relationships, increasing sales opportunities and responding to customer needs. We are a seasoned group of foodservice professionals who guarantee to solve problems and provide solutions. We understand products and customers and where they fit together. We pride ourselves in our professionalism to our customers, and our ability to follow up and follow through in a timely manner. J.G. Neil & Co is your locally owned and operated foodservice agency covering the entire Pacific Northwest and Alaska.